The quad tours – is the fight against the Carpathian nature and the sense of speed. What can be better? The quad successfully combines flexibility of SUV and mobility of motorcycle. But the most important, is to learn to manage it can absolutely everyone! You must be trained to maintain the safety, obtain all necessary eqquipmemt and go – towards the element. Experienced professionals can test themselves on difficult routes and novice drivers improve their skills and enjoy the incredible views of the more common routes. Attention: quad bike driving is available for visitors older than 14 years! 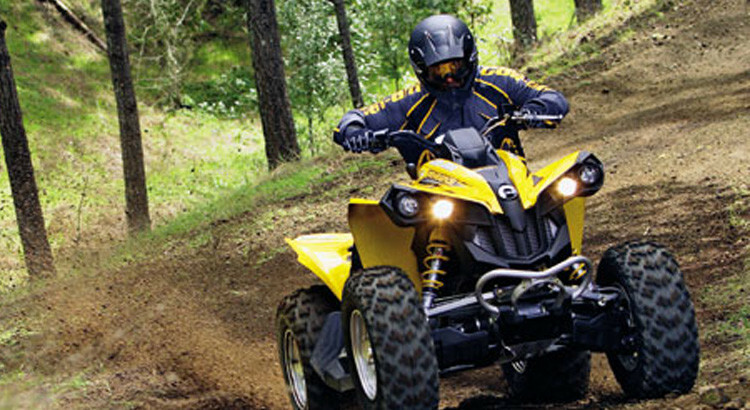 Quad bike driving — is not only trendy entertainment, but also a way to get adrenalin, without fearing for their lives. To take the vehicle for temporary use can afford everyone. You will never regret the money you spent! After all the feelings that you feel and the scenery you see, the memories you obtain are invaluable. Our experts will help you in choosing the route and for experienced drivers — show unknown paths. You will be able to determine the length and level of difficulty, and the comfort of your holiday in Bukovel will arrange a personal trainer. You should choose clothes according to the complexity and length of the tour. Nice news, in the rental price of quad includes a helmet and gloves. You can choose not only a tour, but the whole trip on the quad. You overcome hundreds of kilometers of Ukrainian off-road and can fully enjoy the Carpathian nature. Exotic journey through winding forest pathes to impress everyone! All parking places are equipped with barbecues, so you can have a picnic at any time. The grandeur of the mountains, the beauty of landscapes and a sense of freedom – that’s all is waiting for you while driving the quad bike in the Carpathians!